How Fast Can and Should Golf Carts Go? If your golf cart is used primarily for golfing, by your kids or your older parents, you may be a-okay with the standard electric golf cart speed of 12-14 mph. Even golf course golf carts go no faster than 15 miles per hour. Guess they want to avoid any Steve McQueen “Bullet”-like driving too! The speed and power of your golf cart can travel really depends how you use your golf cart. For instance, if you use your cart for hauling, you may want to add some torque or if you want to drive your cart around the neighborhood, you may need a boost in speed. In most municipalities, low speed vehicles, including golf cars, are street legal in 35 mph zones when they can travel 20-25 mph. Just an aside – they also must be outfitted with seatbelts, headlights, taillights and rearview mirrors to be street legal. If you have any questions, feel free to ask the experts at Gulf Atlantic Vehicles. 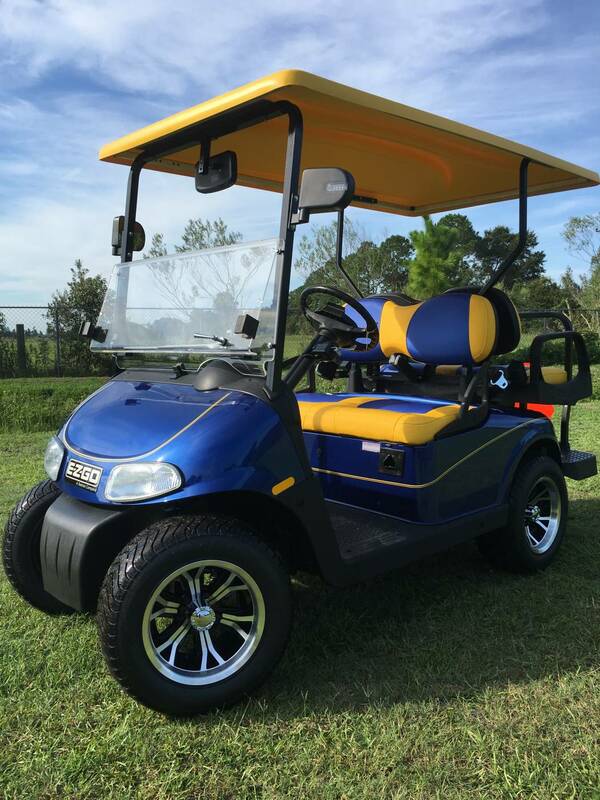 We sell and can modify golf carts in any make and model to suit your needs and desires. Visit our convenient location on Pioneer Trail in New Smyrna Beach or call us at 386-427-9778.